Dr. Tom Sunic – Dr. Sunic is a former professor of political science, a scholar, a prolific writer and an accomplished linguist in Croatian, English, French and German. 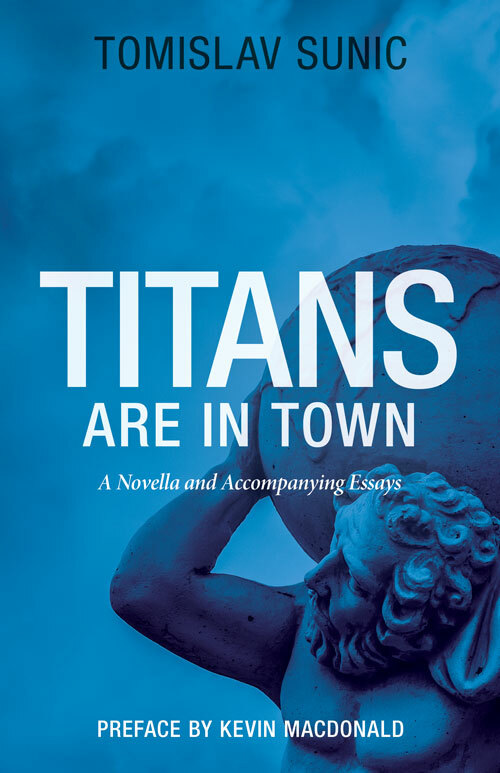 A number of themes emerge in his books and numerous essays: religion, cultural pessimism, race, liberalism, democracy, multiculturalism and communism.. His latest book is Titans are in Town: A Novella and Accompanying Essays. He is the editor of tomsunic.com. Dr. Adrian Krieg – Dr. Krieg is a resident of Florida who was born in Switzerland. He has lived in Italy, Germany, and Mexico and is widely traveled. His has Doctorate in Manufacturing Science degree. You can find his books at his website a2zpublications.com. Dr. Michael Hill – Dr. Hill is the president of the League of the South. The League is a present- and future-oriented Southern Nationalist organization that seeks the survival, well-being, and independence of the Southern people. They stand for our Faith, Family, and Folk living in freedom and prosperity on the lands of our forefathers. Dr. Kevin MacDonald – Dr. MacDonald is the editor of The Occidental Quarterly, a journal of Western perspectives on man, culture, and politics. He is an emeritus professor of psychology at California State University, Long Beach, and the author of seven books on evolutionary psychology and child development and the author or editor of over thirty academic articles. Dr. Virginia Abernethy – Dr. Abernethy is professor emerita of psychiatry and anthropology at Vanderbilt University School of Medicine. She has published research on population demography and immigration. Her most famous work, the “Fertility-opportunity Hypothesis”, is a fertility-opportunity hypothesis which states that fertility follows perceived economic opportunity. Foreign Nationalist Party Speakers – We are delighted to hear speakers from the Japan First Party and the Swiss Nationalist Party. Mr. Earl Holt – Mr. Holt is the the president of the Council of Conservative Citizens. For ten years, he co-hosted the “Right at Night” talk show on AM radio in the St. Louis area. He is also the editor of the Citizens Informer magazine. William Johnson, Esq. – Mr. Johnson is the chairman of the American Freedom Party. He is an international corporate lawyer practicing in Los Angeles, CA. He holds both an undergraduate degree from Brigham Young University where he majored in Japanese, and a law degree from Columbia University and Harvard University. He has been married for 30 years.